THE self-styled leader of the so-called DHLA – Divis Hoods Liberation Army – is blatantly boasting of his criminal activities on Facebook with his name and pictures provided. It is understood the head of the gang has a long criminal record and is a well-known face within the Falls and Divis area. The Andersonstown News has been shown a catalogue of criminal postings and taunts on Facebook, leading local residents bearing the brunt of his and his gang’s crimes to label him “untouchable”. At present there’s growing concern in the area as the Christmas holidays approach that someone could be serious-ly injured or worse during the holiday period. 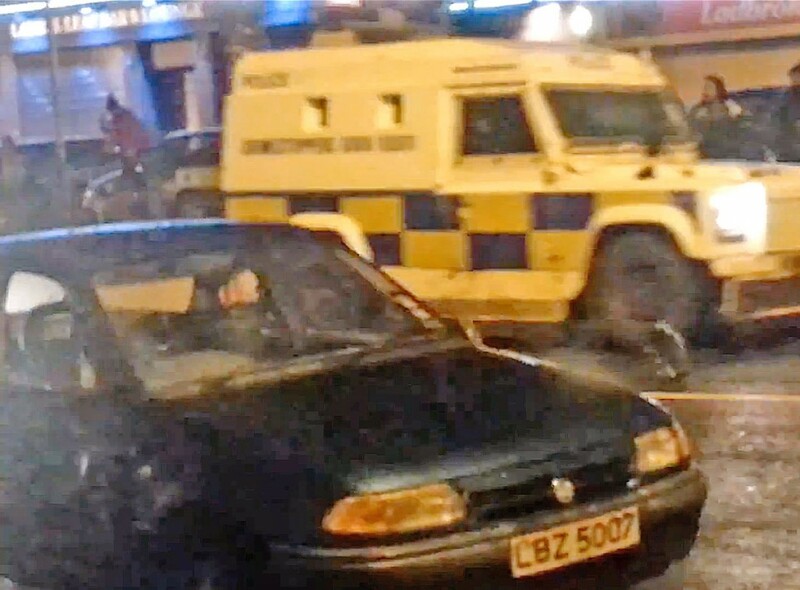 Last year cars were raced along the Falls Road over Christmas and New Year after several well-known hoods were released from prison on Christmas parole. This week, parts of the lower Falls were also plastered with DHLA graffiti. “We all know the dangers associated with death driving and the last thing anyone wants in the area is for any person of any age to be seriously hurt by the recklessness of a small, small group,” said Chris. “The people involved in this are well-known. The dogs in the street know who these people are and it is up to the PSNI to deal with it. It is frustrating for us as there is so much good work going on in the area. On Tuesday night we celebrated the efforts and achievements of our young people at the annual Falls Youth Providers awards at City Hall. The outrageous postings tell of a criminal lifestyle fuelled by drink and drugs. One particularly worrying image shows the thug’s electronic tag after he had hacked it off beside the threat “place getting trashed”. So unconcerned is the gang by the threat of detection that they openly boast of stealing cars, where they are hidden and when they are being picked up again. With the leading hood and his gang boasting openly about their criminal activities, local people are asking why no arrests have been made. Over the weekend the DHLA gang covered the district with ugly yellow graffiti. West Belfast MP Paul Maskey said those behind the graffiti spate “have no respect whatsoever for their community”.